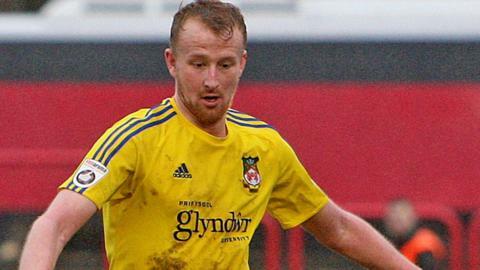 Two goals by Mark Beck saw Harrogate knock Wrexham out of the FA Trophy at the Racecourse. Beck failed to score in 11 games while on loan in Wrexham in 2016, but made no mistake in the 41st minute when he headed the visitors into the lead. He struck again 14 minutes after the restart when Ryan Fallowfield's cross found him unmarked at the back post. Wrexham went close when Cameron McGregor's shot hit the woodwork, but the National League North side held on.